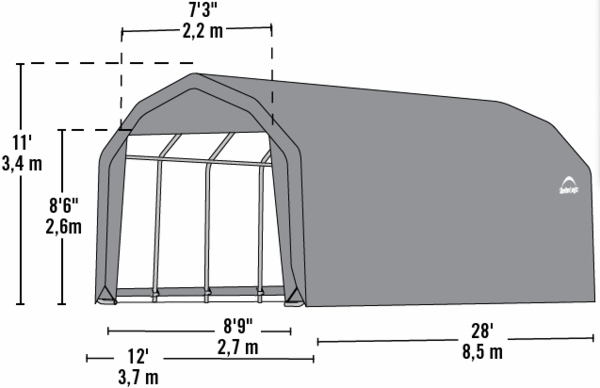 This portable homestead barn garage is multi-functional, sturdy, weather resistant, and easy to assemble. 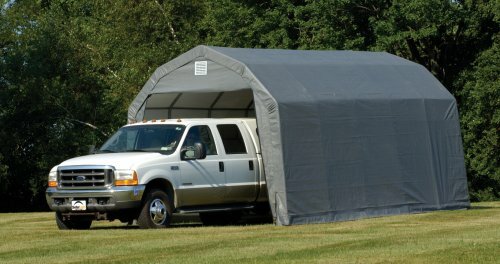 It is the perfect solution if you want to protect your vehicles or equipment from the elements, but do not want to build a permanent and expensive structure. The structure is easy to set up, and rarely requires a building permit. The one piece full valance cover remains tight thank to the patented Twist-Tite tensioning system. The cover is also 100% waterproof, rip resistant, and has been UV treated to block fading, aging and fungus. The high grade steel frame features a sturdy base with secure anchor points. The product has 8 rib framework, and a door clearance of 9' H. This product comes with a 1 year warranty.